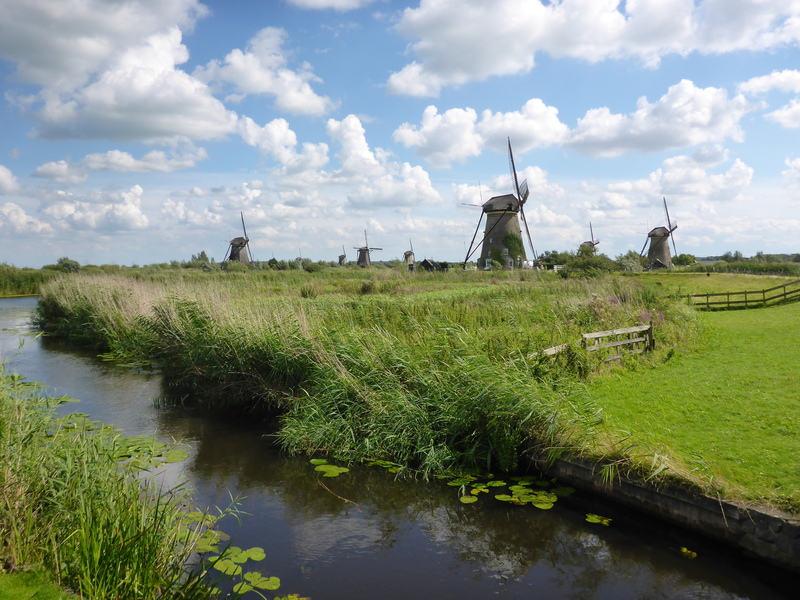 Windmills are one of the first things that comes to mind when I think of the Netherlands. 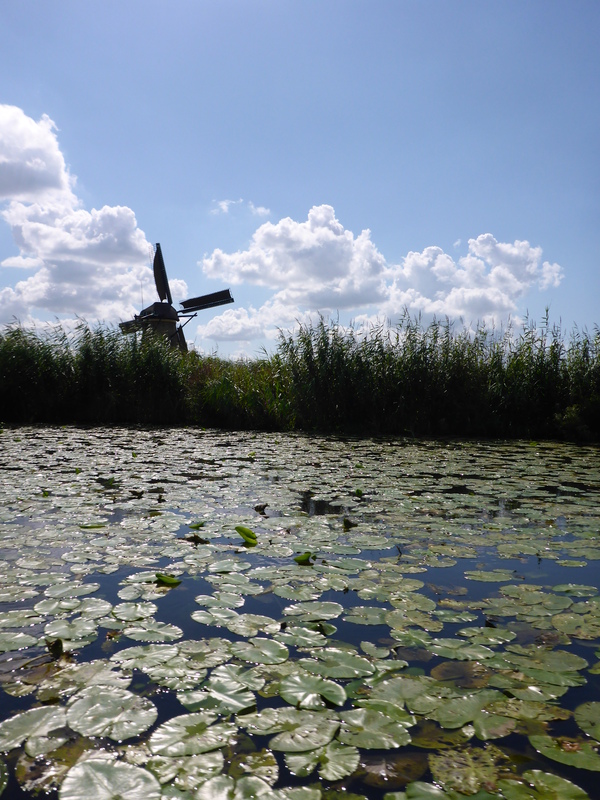 In Kinderdijk they have 19 of them, being the only place in the world with so many gathered in a relatively small area. That fact is fascinating in itself, but the area is also very beautiful, with green fields as far as the eye can see, and the carved canals cutting through them. 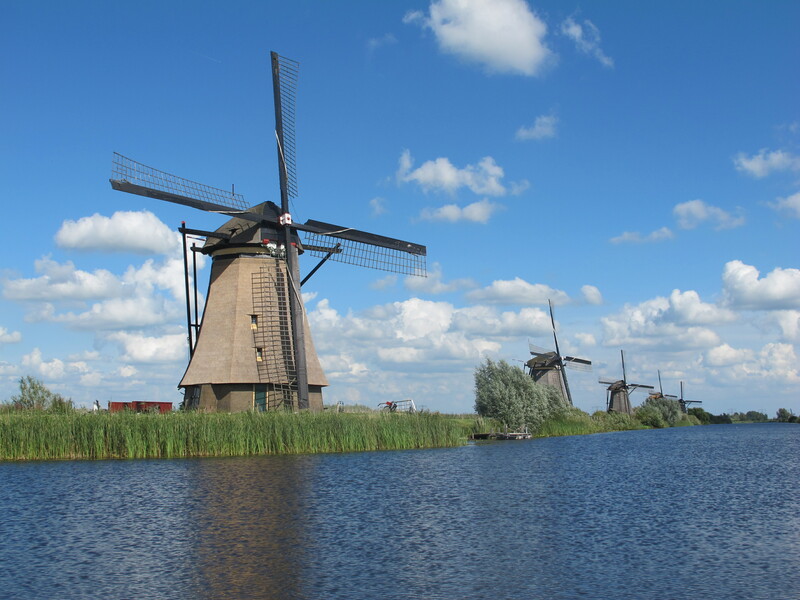 The area consist of the windmills (off course), Museum Mill Nederwaard, Museum Mill Blokweer, and the Visitors’ Centre Wisboom Pumping Station, with boats taking you to the different locations. It is also possible to walk on the public foot and cycle path along the canals. This is open all year, and free of charge. We decided to go for the package with the Canal Hopper boat, Museum Mill Blokweer and the Visitors’ Centre Wisboom Pumping Station. Buying the ticket in one, gives you a better deal. After getting the ticket, we jumped into the boat, slowly sliding through the calm water, reflecting the green grass and the mills. Just fabulous! Arriving at the dock for Museum Mill Blokweer, we jumped off. The big round stone mill stood before us, with the large sails turning in the wind. Swosh, swosh, swosh. The inside of the mill told the story and lifestyle of the miller and his family living there. Even though watching the mill was time consuming, they still had to make their own living by growing food and fishing. 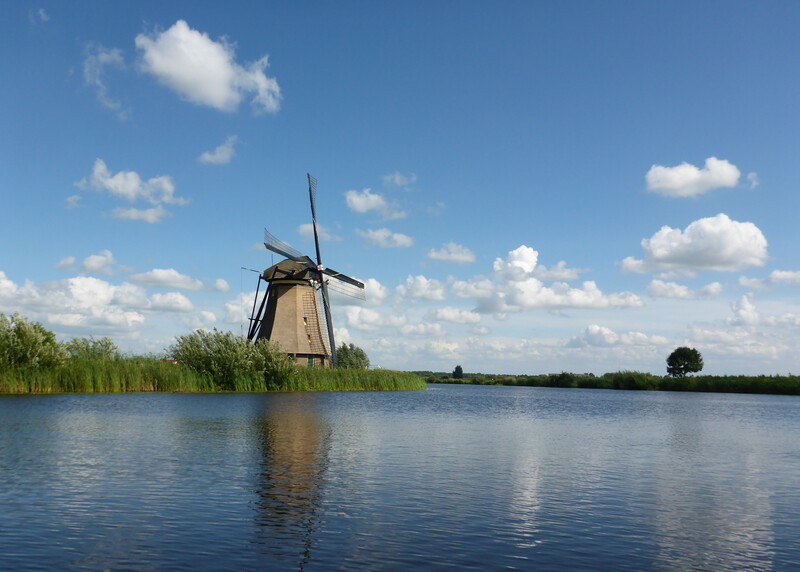 The purpose of the windmills was to pump out the water, preventing the land to be flooded. A large part of the Netherlands is actually situated below sea level! One side pumped the water up one level, the other pushed it to the next, until the water finally reached the river. 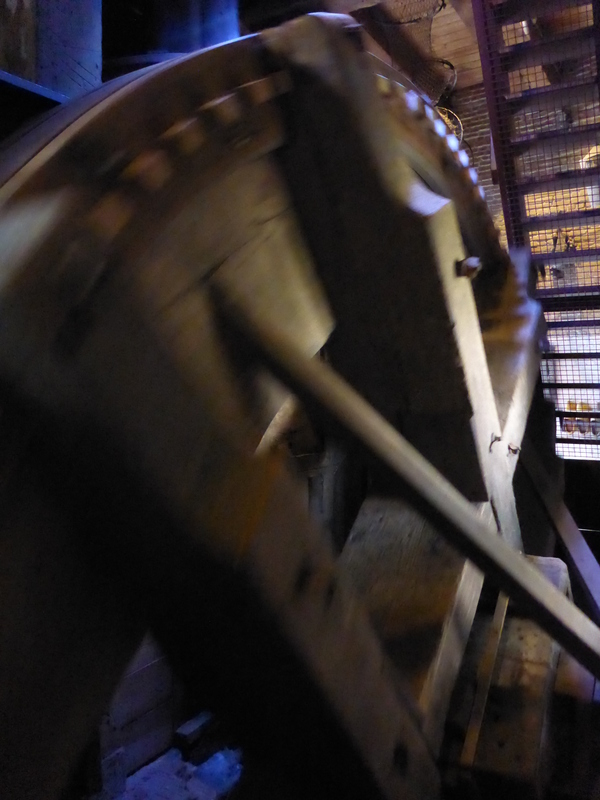 The 19 mills working together with two steam pumps could get rid of 450.000 liter per minute! To me that sounded quite impressive, until I heard they are now building a pump that can do 2,5 million liters! !… But still! We got back on the boat, continuing along the rows of windmills. A beautiful and peaceful sight. The ones on the right side were built in 1738, the left side two years later. The oldest was actually built as early as 1440, but unfortunately, it was made by wood and burned down. 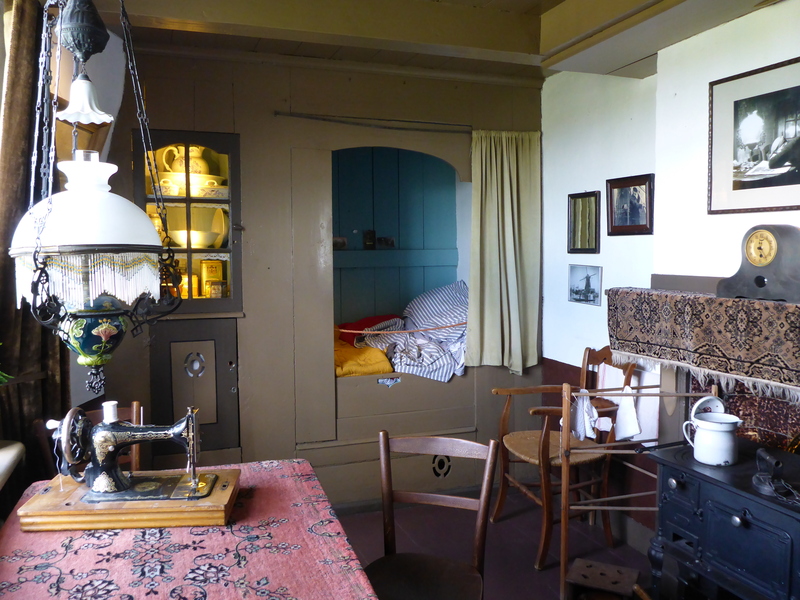 However, a replica was recently rebuilt. Finishing off with what might actually had been better as a start; the visitors center in Wisboom Pumping Station. We watched a film telling the story about the area, including stories from different persons in the community and their different roles in the big picture. This gave a better overall picture of the importance of the water management system. Fun fact: When standing still, the wind sails were set in different positions, each symbolizing a specific meaning. Usually it was used to tell when to pump or when to stop, but it was also used to tell about baptisms and other events. We came by our own car, but there are also several ways to get to Kinderdijk by public transport, including the waterbus if you are staying in Rotterdam. 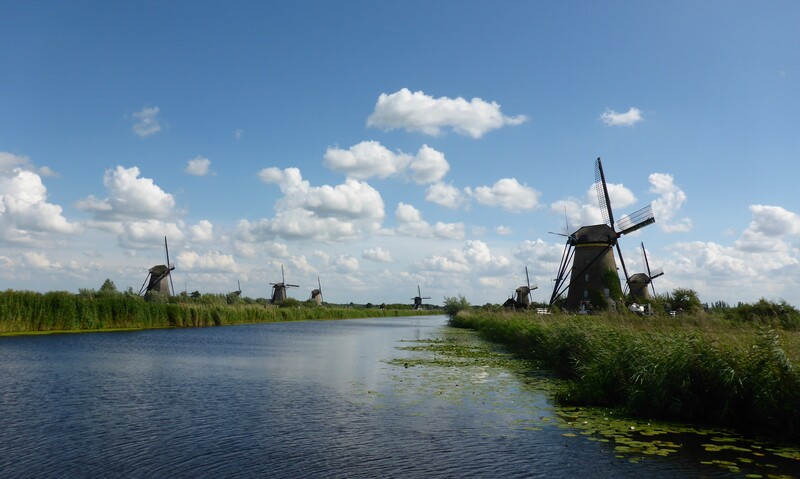 The address to enter in your navigation system is Nederwaard 1, 2961 AS Kinderdijk. 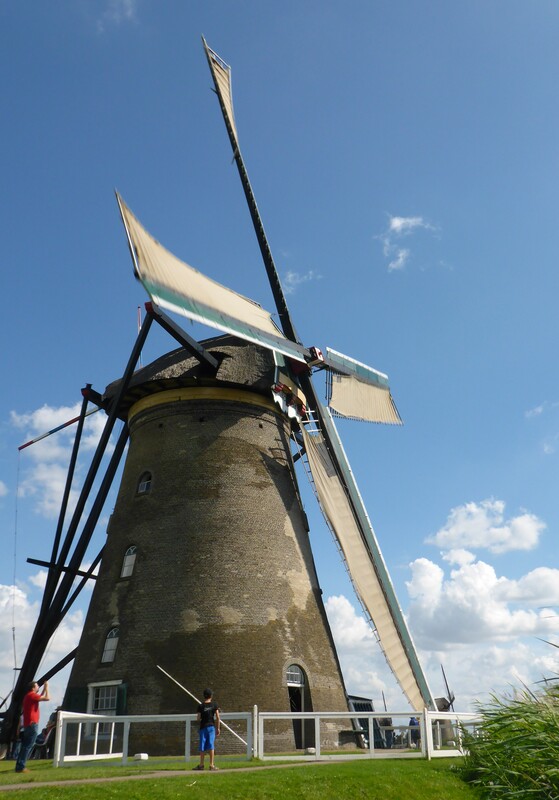 Read other posts from Netherlands and our road trip through Europe.